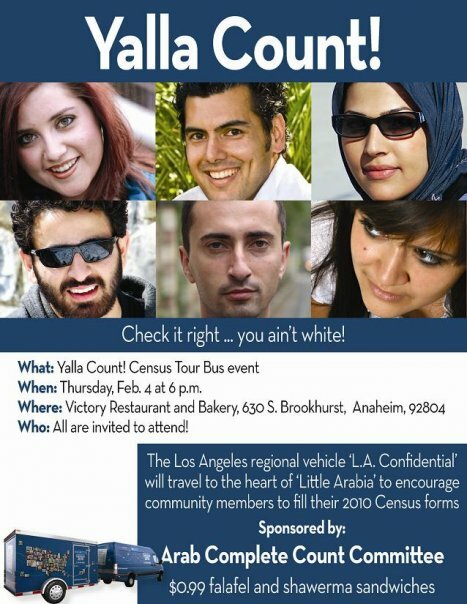 The 2010 Census Bus Tour is coming to Anaheim’s “Little Arabia” this week, on Thursday, Feb. 4, at 6 p.m., at the Victory Restaurant and Bakery, located at 630 S. Brookhurst St. All are invited! The purpose of the bus tour is to encourage community members to fill their 2010 Census forms, but in this case you will also be able to help yourself to 99 cent Falafels and Shawerna sandwiches. Delicious! Click here to join the Yalla Count Facebook page. 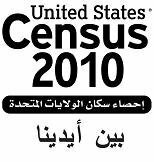 Click here to learn more about the 2010 U.S. Census.